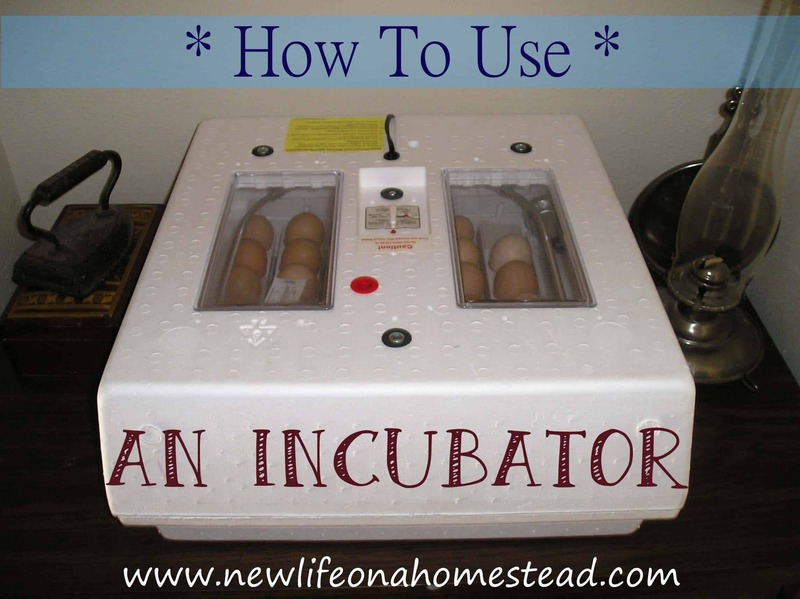 When we first got our incubator three years ago, we were so excited and could hardly wait to use it. When we got home we grabbed the first two fresh eggs we could gather and stuck them straight into the styrofoam contraption. We figured we’d just add eggs as we got them, until we had as many as we wanted to hatch out. Fortunately for us, some of you quickly corrected me and advised that we collect eggs first, and then put them into the incubator all together at the same time. I quickly realized the wisdom in this, as we wouldn’t want some chicks hatching out sooner than others, disturbing the unhatched eggs. Learning how to properly hatch chicks in an incubator before attempting it is vital to your success. A 100% hatch rate is nearly impossible to get without fancy gadgets and expensive equipment, but you can still reach a 75-80% hatch success if you follow a few simple guidelines. Still, don’t expect too much. There are a lot of factors that play into how well your chicks develop. Hatching eggs in an incubator requires that you be willing to commit several weeks of your time and attention to your growing chicks. Be sure to start the process at a time when you will consistently be available to tend to the eggs and incubator for about a month, depending on what you’re hatching. Fresh. No older than 14 days; 7 days or less for best results. Fertilized. The hens must be accessed by a rooster. If there is no rooster, the eggs are not fertilized and there will be no chicks. Faultless. Make double sure that there aren’t any hairline cracks or chips in the shell. Unwashed. The outer protective layer on the shell, called the “bloom”, must not be washed off. This will ensure that no bacteria gets through the porous shell to the growing chick inside. There are many types of incubators on the market, in all price ranges. 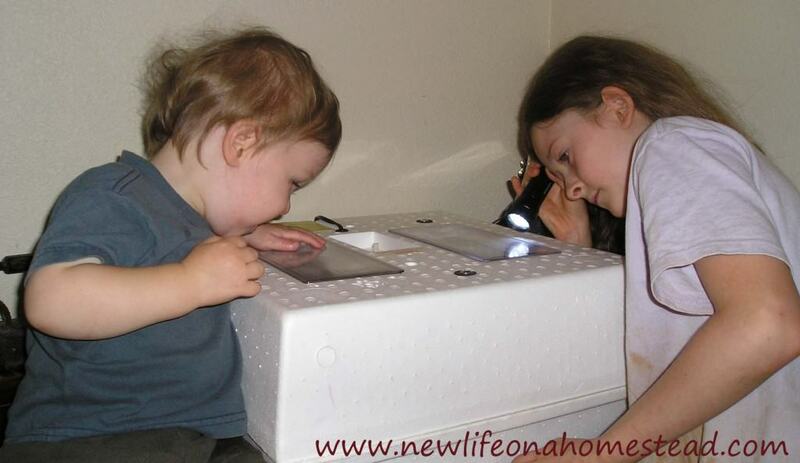 We bought our ‘still air’ incubator from Tractor Supply for like $50. Incubators are also available on Amazon for about the same price. The egg turner was another $50-ish, and was well worth the additional investment. So much of the chick’s proper development hinges on how it is turned and rotated during the incubation period. Like I mentioned above, you’ll need fertilized eggs, so if you don’t have a rooster you will not get chicks. If you do have a rooster, and have seen him mount your hens, then you can assume that the eggs are probably fertilized. You’ll be able to check for positive fertilization later on in the process. Some say for the best hatching success, your birds should not be eating a laying mash. Rather, a free-range diet with lots of greens and protein, and very little grain, is best. There is also a “breeders ration” feed that you can buy if you need to. However, it has been my experience that it doesn’t matter if your hens are being fed laying mash, you can still have a successful hatch. 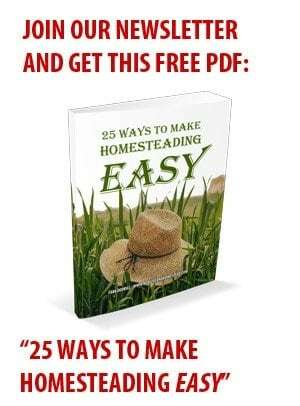 (We feed ours fresh greens, table scraps, laying mash, and corn.) If your hens are very young, and have just begun laying, give them several weeks before collecting their eggs for incubation. 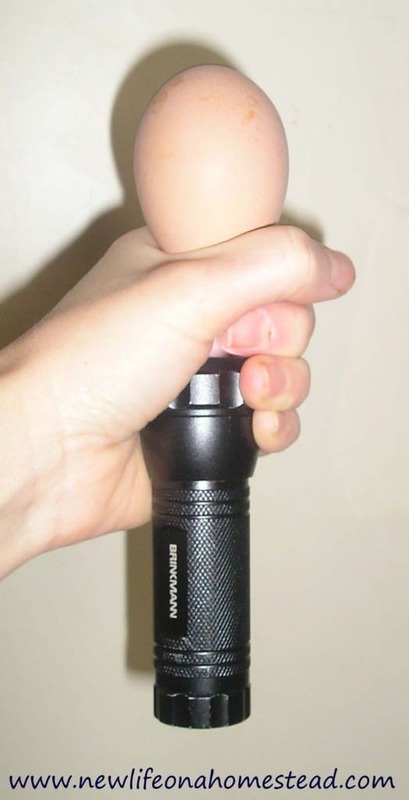 When gathering your eggs, make sure to handle them fairly gently. Carry the egg on its side, or with the egg’s large end up and pointy side down so as not to cause the air cell inside to rupture. You needn’t be overly cautious with the eggs, just keep these tips in mind. Don’t wash the eggs. And try not to handle them too much, you want to limit the shell’s exposure to bacteria. Try not to use very dirty eggs. If the eggs do have some dirt/poop on them, use a dry old toothbrush or something similar to brush the shell clean. It’s important that the eggs don’t have stuff stuck all over the shell, which would cause difficulty for the chick to peck through during the hatching process. You can collect eggs for up to two weeks before incubating, but using them within a week is best. Keep them somewhere cool (around 60-70*) if possible. The fridge is too cold, so don’t keep them there. If you want to write the date the egg was laid on the shell so that you know how old the egg is, make sure you use a pencil and not an ink pen. If you have very cold nights, collect your eggs before they are exposed to the low temperatures. 24 hours before you’re ready to fill the incubator with eggs, plug it in and do a test run to make sure that it can hold the correct temperature steadily. You’ll need a thermometer so that you know the internal temperature of the incubator at all times. 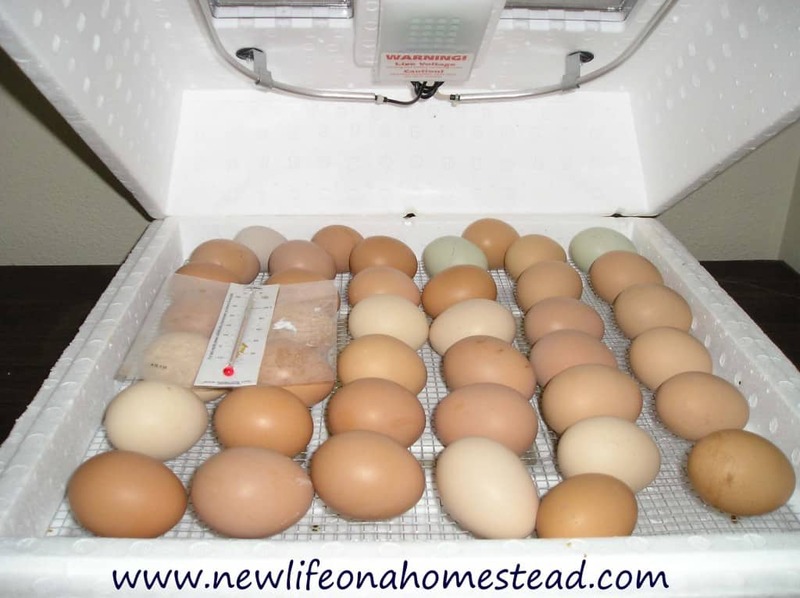 Gradually adjust the heat on your unit until it holds steady at the desired temperature, and make sure it maintains that temperature for at least 6 hours before filling it with eggs. I like to run it overnight just to be sure. Chickens, Bobwhite Quail, Pheasants, Ducks, and Guineas all need a 99.5*F hatching temperature. Goose and Turkey eggs should be at 99*F.
Once you’ve kept a steady temperature for at least half a day, you’re ready to fill the incubator up. If you have an egg turner to go in your incubator, fill the trays with the desired amount of eggs. My turner holds 41 eggs. Make sure you put all of the eggs in at the same time. If you need to add more eggs the very next day, you may do so, but don’t add any more eggs after that second day. You want your chicks to hatch out at the same time, not staggered. Place the eggs small side down into the egg turner. Egg turners rotate very slowly. It will probably look like the turner isn’t doing anything, but after several hours you should notice the eggs at a different angle. If you do not have an egg turner, place the eggs on their side on the wire floor of the incubator. You will need to rotate the eggs by hand 2-3 times per day so that the chicks form properly. Rotating is not optional if you want your chicks to survive. Simply roll the egg gently to its other side to rotate. You might want to mark one side of the egg with an “X”, and the other side with an “O”, in pencil, so that you know which way to rotate it next time around. Be careful not to shake or jar the eggs. Turn until three days before the scheduled hatching date. Do not put any eggs too close to the egg turner motor (keep about an egg’s distance away). I’d highly recommend an egg turner. Rotating by hand 2-3 times per day, for 3-4 weeks is extremely time consuming. Your incubator needs to hold some humidity to ensure that the growing chicks don’t get stuck to the inside of the shell, so make sure you have a little water in the bottom of it. Each model probably differs slightly. Mine has little troughs in the bottom to fill with water. Keep an eye on it daily, and add lukewarm water as needed. Do not add cold water to the incubator, as this can bring the internal temperature down. Lay the thermometer across the top of the eggs for the most accurate reading. Make sure to write down the day you put the eggs into the incubator, so you have an idea of the expected hatching date. Also, if you are rotating the eggs manually, don’t forget to do this three times a day. Scheduling to do it at meal times is a good way to help you remember when to rotate. You can test fertility through candling as early as the 3rd or 4th day of incubation, however, I find it easier to wait until 2 weeks, by which time the chick will be formed enough to see for sure. At about the 14th day of incubation, I take my eggs out of the incubator, one at a time, and bring them to the darkest room in my house. Forming my hand around the base of the egg, as shown, I shine the flashlight up through the bottom of the egg. If the light passes through it, I know the egg was not fertilized and I can toss it out. If it is dark, then that means that at least a chick has begun to form. Sometimes chicks die before making it out of the shell, so as they say, Don’t count your chicks before they hatch! You can candle the eggs at any time during the growing process, just be super careful taking them in and out of the incubator. I wouldn’t recommend taking them out of the incubator more than twice. And don’t leave them out for long, or they will chill. Sometimes you can see the chicks moving inside of the shell, which is always exciting! If you have kids, this is such a great learning experience to share with them. Three days before your expected hatching date, remove the egg turner from the incubator and gently place the eggs on their side on the wire screen in the bottom. If you have been turning them by hand, you can stop doing so now. Keep that thermometer on top of the eggs and continue watching the temperature, and water/humidity. The day of the hatch, maybe even the day before, you’ll start hearing peeping from inside the incubator. The chicks are still inside of their shells, but they are actively working to free themselves by pecking from their now cramped quarters. The cheeping will be loud enough to make you think they’ve actually hatched already. It’s such an exciting time!! It can take several hours for a chick to actually break out of its shell once it has started pecking, so be patient. You may be tempted to “help” a chick that looks like it might be stuck, but don’t ever attempt to remove the shell from a chick. If the membranes look like they’ve dried and stuck to the chick (which can happen due to a lack of humidity), use a medicine dropper to administer a couple of drops of warm water over the membrane to help loosen it. Although, usually when a chick has trouble hatching, it probably will not be formed properly and will be born sickly. In the past, I have tried my best to save chicks having trouble hatching, but I have found through experience that it’s just best to let nature run its course. As hard as that can be sometimes. It’s a little tricky to take a picture of the chicks through the incubator window, but here’s my best attempt for you! These guys hatched out on April 25th (2013). If you have a lot of broken shells in the incubator, you may remove them while waiting for more chicks to hatch. Give the unhatched eggs an extra couple of days to hatch, just to be sure. 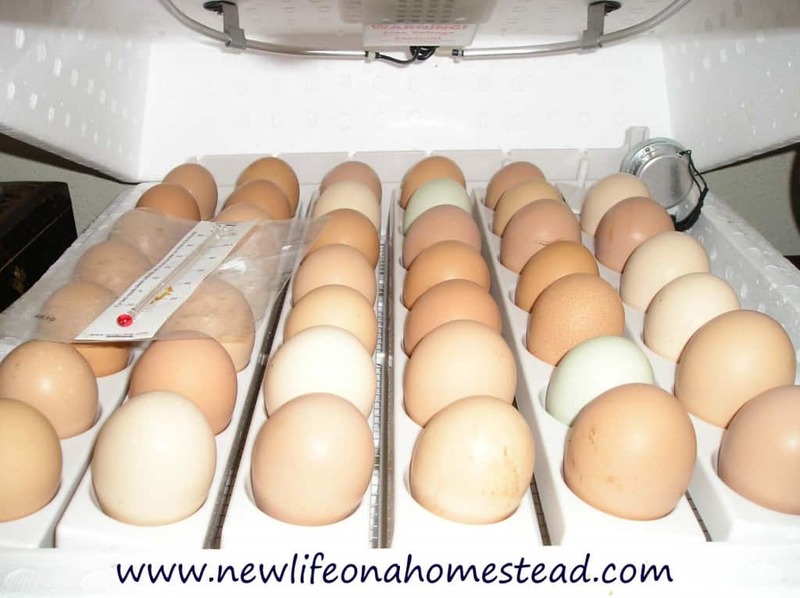 Then toss out the unhatched eggs, and clean your incubator and egg turner thoroughly before storing. We had 31 out of 41 eggs hatch this time! They’re SO cute, too. These chicks are mixed breeds. We have hens that are Buff Orpingtons, Black Giants, Speckled Sussexes, and Rhode Island Reds. And our rooster is an Americana. Some of these will probably lay blue eggs. My plan is to sell them all to recover some of the cost of feed for our hens. Do you have any tips or advice to add on how to hatch chicks in an incubator? 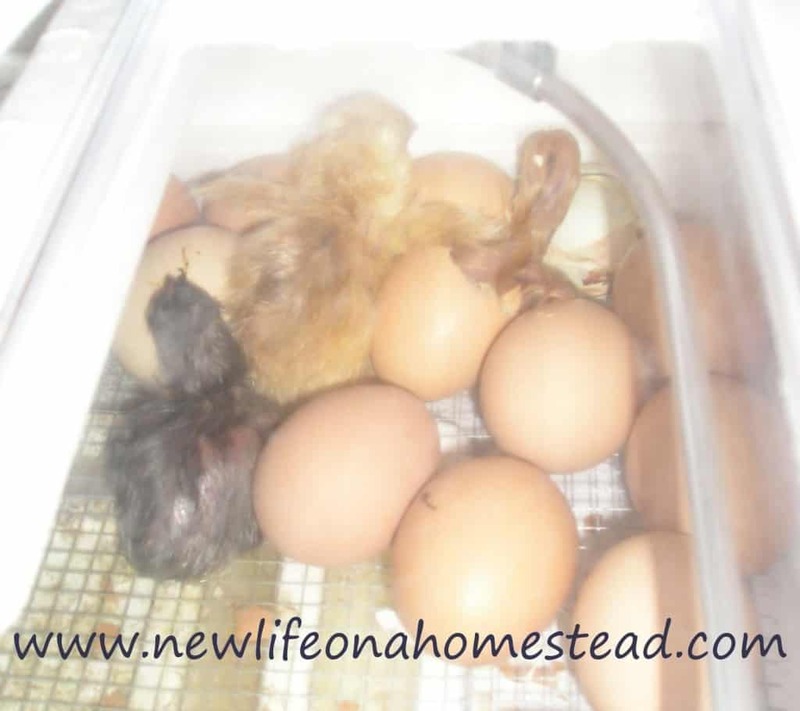 Have you tried hatching chicks in an incubator before? I’d love to hear your experience! Which end of the egg should be down, and what’s the difference. I’ve heard different stories. been using styrofoam incubators for five years or so. have new and old models. draft free / stable outside temp is very important, warmer the better. bath towel coverage helps. i do not candle. what is the point? dead eggs are heat sinks and help even out temp; yes, remove a stinkey egg. your nose will tell you which one it is. humidity is very important. especially in dry parts of the country. i am in southern nevada and keep water in the incubator till the very end. used to have trouble with egg membrane sticking to chick and complicating hatching. Lots of great info . Some old some new. Always good to learn. Born and raised on a farm with chickens, but we always let mother hen do all the work. Never had an incubator, but I have one now. Enjoy it very much, I’m up to about 50% now. Just keep at it. Do you know what’s the difference between the still air and force air incubator? And what’s the best choice? I have just started Incubating my own eggs. Bought 2 Little Giant Incubators with egg turners and digital temp and humidity readings. Put 41 eggs in one and 41 eggs in the other. Come day 10 I candled and not one was fertile from my chickens which are rhode island reds 18 months old and two roosters that were crowing but very short tails. Only two were fertile and I got them from someone else ( bought 24 from them with only 2 fertile ) All rest were my eggs. Because I dindnt know any better I put more eggs in there to hatch with them. Temp dropped to 97 degrees and day 14 the 2 had died. So I started Over with eggs from someone else and replaced my two young roosters with one that was 2 years old. Once again filled both incubators with eggs 82 total. Candled day 10 only 1 fertile and 5 with red rings. Rest were nothing but yolk! My temps stayed at 100.5 and humidity alternated from 46 to 54. I did not open incubator until day 10 to candle. Now I have 1 Incubator with 1 egg in it ( the fertile one ) and one empty incubator. I am obtaining 24 bantam cochin eggs from a reputable breeder and 50 Courtinix Quail eggs from them. I have 30 of my RIR eggs and 6 of my Silkie Eggs to put in. But before I do I need some advice. Please what am I doing wrong! I am afraid to put any eggs in with the one egg which is now 11 days in and fertile, But don’t want to tie incubator up with just one egg and I don’t want it to die! I would recommend that you start with a dozen fertilized eggs and learn the ropes before you try to incubate in large numbers. It takes a little practice. Best of luck! Just read all the info, should have read sooner, I am on day 20 with turner & dig hum/temp. I have added more eggs hatch dates late. maybe not so good. I still have the 20 day eggs turning, not so good after reading from this info. Lots not so good, we ll see in a few days how bad or good we did. I added a tube through the too if the incubator, which leads through a 90* angle to the channels in the bottom. I can add water with a syringe and I am now on day 17, and have not once opened the incubator. I am hoping for a good hatch!! I put a hygrometer on top of the Bator and the sensor is on the inside. I have 24 Icelandic eggs in there. This is my first attempt at hatching chicks and I recently realized I made a mistake from day one. Instead of waiting to put all of the eggs in on the same day, I put them in each day as I collected them. I have 26 eggs in my incubator that I put on the 9th, 10th, 11th, 13th and 14th of February. Also, I read somewhere not to open the incubator until the last chick has hatched. It can cause the unhatched eggs to be smothered, (not sure of correct terms) the inside lining of the eggs basically plastic wraps them in. Do you know if this is true? Should I try to separate them before they start to hatch or just remove them as they hatch? At this point, I’d just leave them and remove the hatched chicks as they come- allowing them to stay in the incubator for 3 days so that they’re completely dry before you remove them. Low humidity is what causes the unhatched chicks to become shrink-wrapped in their shells. Just keep an eye on the water/humidity level of your incubator. Don’t leave the lid off for long, and do your best to barely crack it when removing the dry chicks. Good luck! Sorry I’m late to respond. I hope the hatch went well! I take the chicks out after they’ve fully dried off, and leave the rest of the eggs to hatch. You can candle them to see if the eggs are fertile or not. The ones that hatch first were probably laid earlier than the others. Enjoy those new babies! We ended up only having 7 hatch altogether this time around. I have been collecting the eggs this past week to start another batch to place in the incubator to hatch out before fall. Hopefully we will have a better turnout this next time around! We are wanting to get enough chickens to have some more for laying and some for meat so hopefully it will go well! Thanks again for the article….very informative and helpful for us rookies! Thanks for this post Kendra! We have tried one time before now to hatch from our incubator and the first time we only had 1 hatch and then die a day later. Today out of 24 eggs, we have had 2 hatch so far and I can hear peeping from some other shells. It is very exciting but I find myself so worried for those little chicks and want to see them make it out of their shells alive! How I feel sort of reminds me of an old tv program where the expectant father is waiting for the arrival of a baby…sitting in the waiting room…not able to do anything…just waiting to see them born! Here’s to happy hatching! Thanks again for the post! awesome tutioral, cant wait for the brooding lesson. also glad to get the comment for granny miller about the best timing for hatching. enjoy your blog looking forward to lots more. The only thing I do different is to make sure that I set the eggs on a day so that they’ll hatch during the moon’s waxing phase in one of the fruitful signs -Cancer, Scorpio or Pisces. Granny Miller! So nice to hear from you here 🙂 It never crossed my mind to hatch according to the moon’s phases. Very interesting… 🙂 Thanks for the tip! I just love this article. We have had some success with hatching in the incubator and I still learned alot. Thank you! This is a timely post for me as we have 20 eggs in an incubator right now that will hopefully hatch on Tuesday! We have candled them and know that something is growing in there. But, my question for you is did you vaccinate them? My research has revealed the backyard chicken flock owners are split 50/50 from don’t bother to you MUST (mostly from people who have lost an entire flock to Marek’s). We have always bought chicks from a hatchery before that vaccinates for Marek’s. Still undecided, but I am leaning towards not. We selectively vaccinate the kids, so thinking of letting the chicks take their chances. Thoughts? I love that you did this post! We bought an incubator earlier this spring hoping to hatch out our own chicks instead of buying them. Well, things never go as they should! I had collected about a dozen eggs and put them in the incubator. After waiting about a week and candling, nothing was happening. I gave them a few more days and checked again, still nothing. So we cracked the eggs and they were just eggs. We just attributed it to being our first time. I collected more eggs and we repeated the process. This time around still nothing happening. I had seen our rooster mate our hens. We finally figured that he was not fertile. Which honestly didn’t hurt my feelings. He was the meanest rooster I had ever met. He was polish crested and all black and beautiful but mean as all get out! He got butchered and served for Sunday dinner. We bought a couple Buff Orpington rooster chicks and are going to hopefully have more luck next spring! Great article!! We recently tried to hatch turkeys, but unfortunately none hatched out. 🙁 Do you mind if I share your post on mine when I write about it this week? I will link it back! How many hens do you have? I’ve been following your egg count and chicken expense updates in your sidebar and was curious as to how many hens you have. We currently have 17 hens.